Welcome to ClearNews October 2014. Every few months, ClearNews tells you what's new at Cleardocs. We also send you the monthly ClearLaw emails discussing legal developments relevant to the documents we provide. Last Friday, we attended the LIV President's Lunch with a few customers, business partners and colleagues. The lunch was an opportunity to show our support, network and be engaged by an interesting keynote speaker. It was a great success. 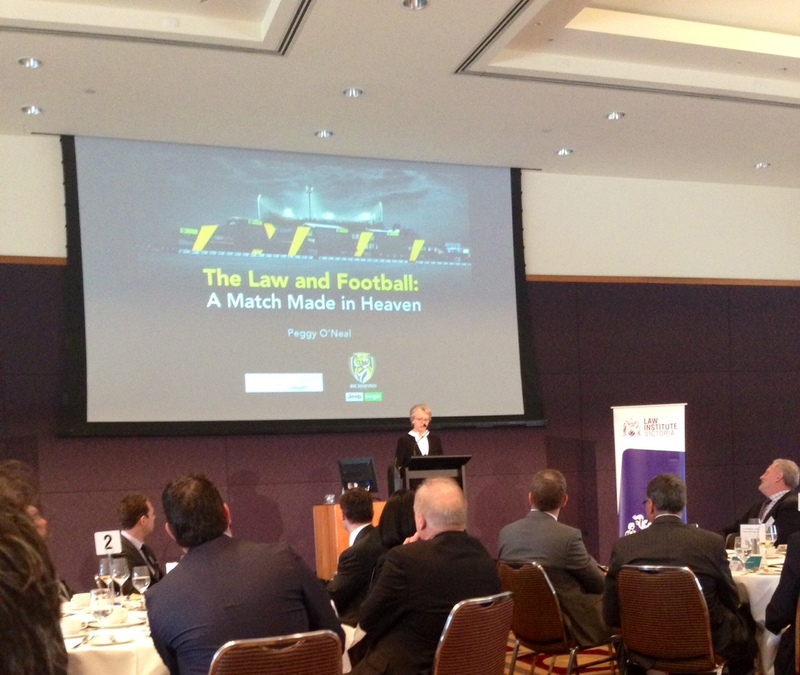 Peggy O'Neal, Richmond Football Club President and superannuation lawyer, delivered an engaging and entertaining keynote entitled 'The Law and Football', making law and footy analogies throughout the presentation. We look forward to further developing our relationship with the Law Institute of Victoria and hope to attend another lunch in the President's series in 2015. Our SMSF suite of products continue to be among our most popular products. We wish to assure you about the compliance of the Cleardocs SMSF document packages, including the SMSF trustee only constitution. Maddocks is a top 20 Australian law firm and oversees the compliance of our deeds to ensure they are up to date with relevant legislation. If there is a change in superannuation law that may affect SMSF deeds or other documents, Cleardocs customers are promptly notified by email and you can decide if you want to update the deed with an Update to SMSF. If you have any feedback or concerns about any of our document packages, please call us on 1300 307 343. We can also arrange for you to speak with our lawyers at Maddocks about the content and drafting of our documents.